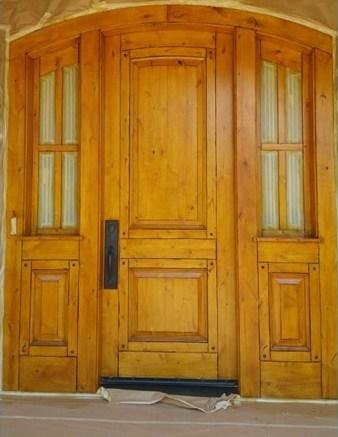 Assessment: This entry door in the beautiful Preserve neighborhood had a finish clear coat that had faded away, leaving the wood exposed to the elements and without a furniture-like finish. 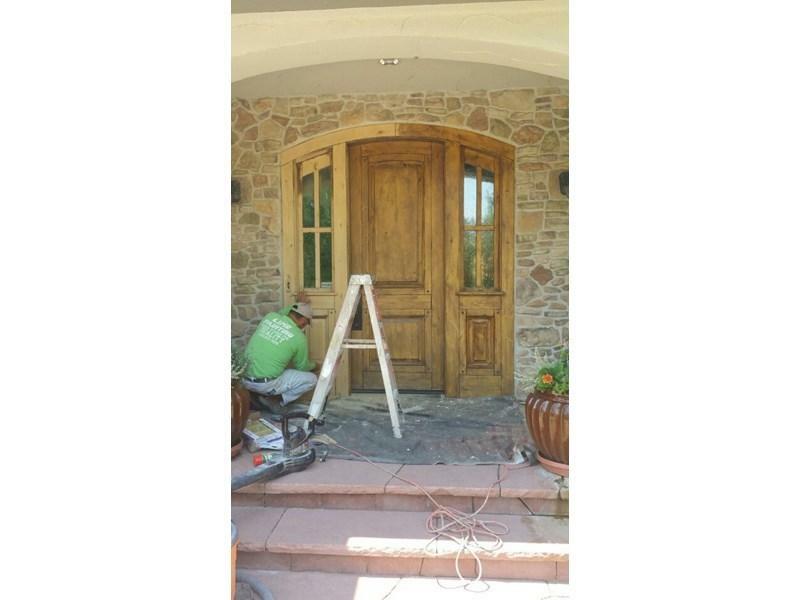 Because the door had been in a state of distress for a while, the color in the stain had begun to fade. 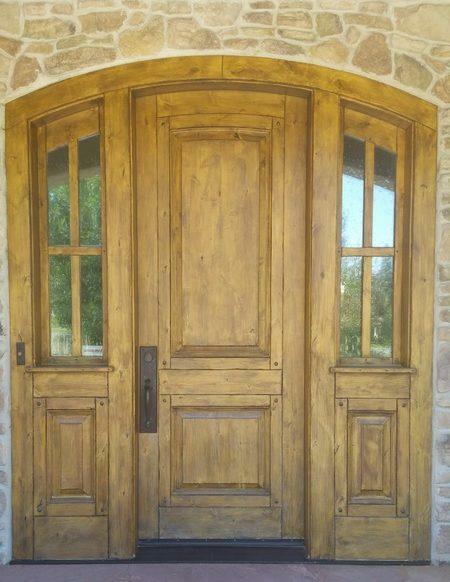 Advice: LIME sanded the entire door and side lights down to a new profile of wood, allowing for the application of a fresh coat of stain. The bare wood surface allowed for the premium wiping stain to be absorbed. 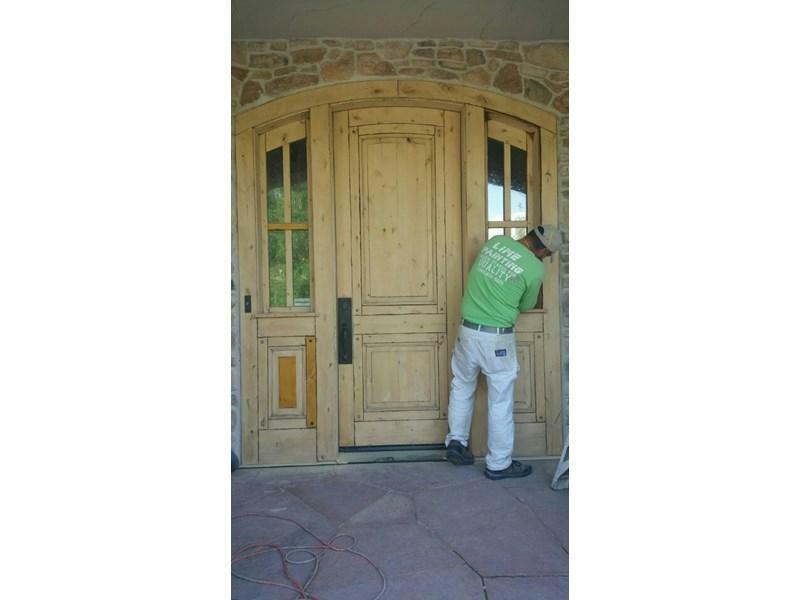 Once we stained the door, we applied a high performing satin spar urethane coat to the top to ensure a durable and aesthetically pleasing topcoat. This custom result left a lasting impression with the homeowners and will surely leave an amazing first impression with everyone who enters the home.